What’s in a name? More than you think! I found myself sitting in a group recently and the conversation turned to the challenge of names! It transpired that all present had some issue with their names and much to my surprise over 50% of the individuals around the table had changed theirs legally. This is much more common than I ever imagined with 58000 people in the U.K. changing their names in 2011 alone and not limited to celebs such as John Wayne and model Elle Macpherson wanting to lose their less glamorous monikers! Marriage – assuming new husband’s name. I was quite surprised that the young women in the group had either changed their names to assume their husband’s name or intended to do so. Divorce – dumping the ex – husband’s name. I was equally surprised by the women who hadn’t changed their names post divorce, even in the most acrimonious circumstances. Others had reverted to their maiden names (which is their father’s name quite often). Declaring your marital/ relationship status is no longer necessary in most countries but it might be advisable to check your employee handbook to establish what the requirements are for your company for communicating this transition. Merging names: Many couples are double barreling names after marriage as a compromise. 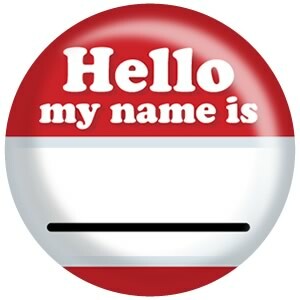 Never liked assigned name – the majority of changes were because they simply never liked their names and wanted something completely different, a name of their own choice which they felt was more in line with their own personalities. Not just their first names, but family name as well! I actually only connected with my own name relatively recently! Here, there will be legal guidelines to follow and informing any necessary contacts. Make sure that you have a document (Joe Brown formerly known as Peter Jones for example) to support this change. It will be especially necessary for academic certificates and references from previous employers, credit checks, bank accounts etc. Apparently leaving the office on Friday as Melanie Dobson and returning on Monday as Zoë Maitland was relatively seamless, producing only minimal difficulties. One woman reported testing a number of different names with friends and colleagues before finally selecting her first choice! Name difficult to pronounce – my son tired of people mis- spelling and mis-pronnouncing his Welsh surname and anglicised it. Discrimination – sadly, some people in the conversation had changed their names fo fit into the culture of the country they had chosen to live in. They felt particularly in job search this had increased their chances of being called for interview. Name too common: One group member had tired of being one of the millions of John Smith’s globally and never being able to claim a domain name or unique email address! He just wanted to stand out! First and last names : One woman had no problem with her names but commented that her boss introduced all the men on the team by their first and last names, but her only by her first. Should she be put out? Yes possibly! She isn’t Beyoncé. It just seems more professional and perhaps this more familiar, slightly indulgent approach suggests a more service role (maids, waitresses are frequently referred to by their first names only.) Definitely ask why there is a different approach based on gender. So, how do you feel about your name?